Dropping just in time for the opening weekend, the new adidas ‘Team Mode’ boot pack has got us a little bit hyped for the new season. 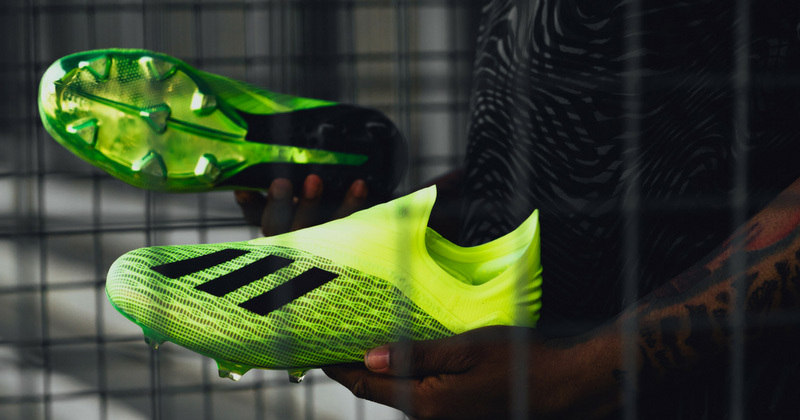 Following on from the vibrant ‘Energy Mode’ pack, which was so prominent throughout this summer’s World Cup, the new adidas boots look set to be worn in the Premier League’s opening fixtures. In fact, some of the biggest players on the planet have already been showing them off in pre-season. This is the third colourway for the new generation of adidas boots, with the Nemeziz, Copa, Predator and X all receiving fresh colour updates. 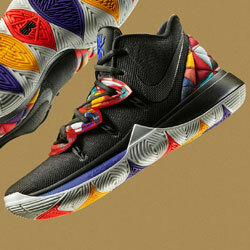 Oh, and they’re all absolute fire. 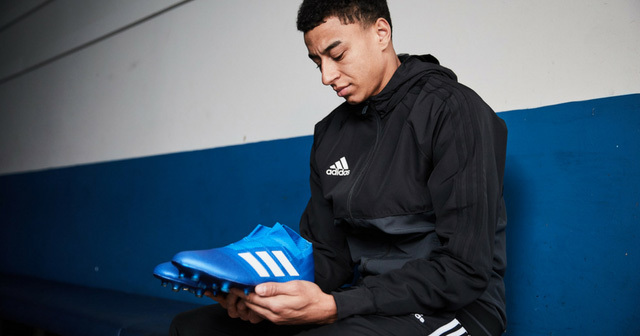 Incorporating a bold blue and white colourway, the new-look adidas Nemeziz 18+ will be worn by the likes of Jesse Lingard, Roberto Firmino and Alvaro Morata this season. Once again implementing innovative adidas technology, the Nemeziz is built for the most agile players on the planet- which is exactly why Lionel Messi likes them so much. These lightweight boots make use of adidas’ AGILITYKNIT and AGILITYBANDAGE technology, while the dual-lock collar secures the foot firmly into place. So yeah, agility is pretty important here. 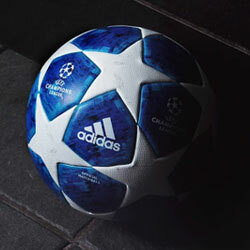 Although it’s not really worn by professionals anymore, the adidas Copa is still immensely popular with amateur players. And for good reason. Utilising a traditional k-leather upper, a ‘Comfort Internal Construction’ and an Ortholite sockliner, these are perhaps some of the most comfortable football boots money can buy. 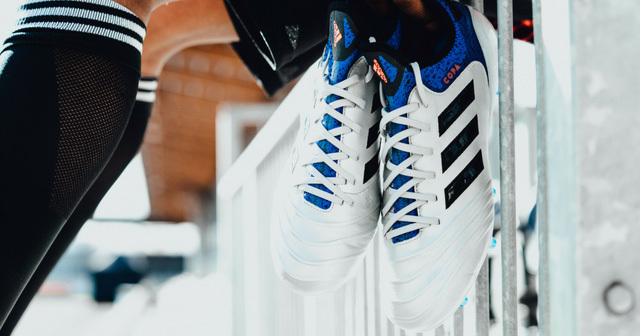 The ‘Team Mode’ edition boasts a beautiful metallic silver colourway, along with shimmering blue detailing and the iconic Three Stripes. Another modern update on an old classic. Keep ‘em coming, adidas. Just look at it. If you want to take a moment to compose yourself, we understand. After months of flamboyant colourways and intricate designs, this is the adidas Predator we’ve all been waiting for. 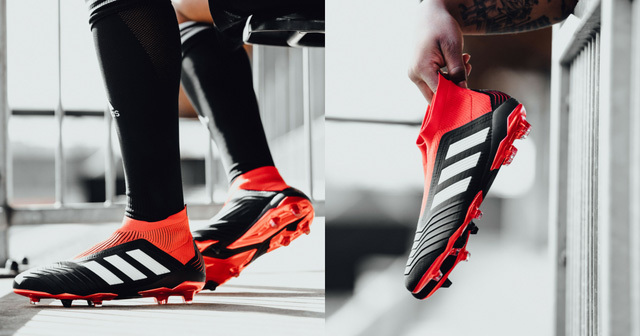 The return of the iconic black, red and white colourway is enough to induce flashbacks of Zinedine Zidane and David Beckham, as we lay our eyes on a Predator which seamlessly slots into the history of this stunning boot collection. 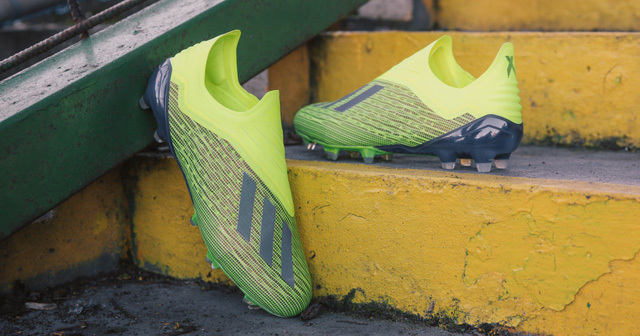 The implementation of modern adidas technology ensures that this is the most innovative Predator ever made, while the classic colourway has got us literally frothing at the mouth. Take our money. Now. 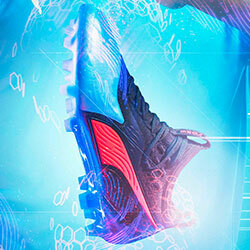 Unsurprisingly, the boldest design of the new boot pack comes courtesy of the X. Showing off a striking yellow and black colourway, the X 18+ uses modern technology to increase speed even further, with fresh innovations making this the fastest X yet. 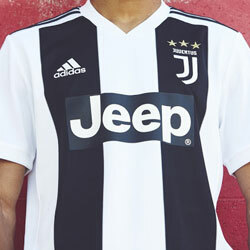 This will be great news for the likes of Mo Salah and Gabriel Jesus, who look set to wear the new ‘Team Mode’ edition at the start of the new season. The foot is secured in place by a new Claw Collar, while the use of SPEEDMESH and a SKELETAL WEAVE help to create an ultra-lightweight construction. Bold. Fast. Unstoppable. We can’t help but feel sorry for defenders this season. You can compare prices on all these new football boots at FOOTY.COM. 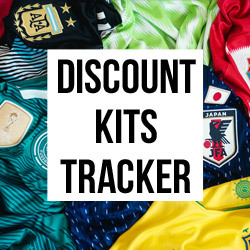 Browse our deals today to start the season with some extra change in your pocket!